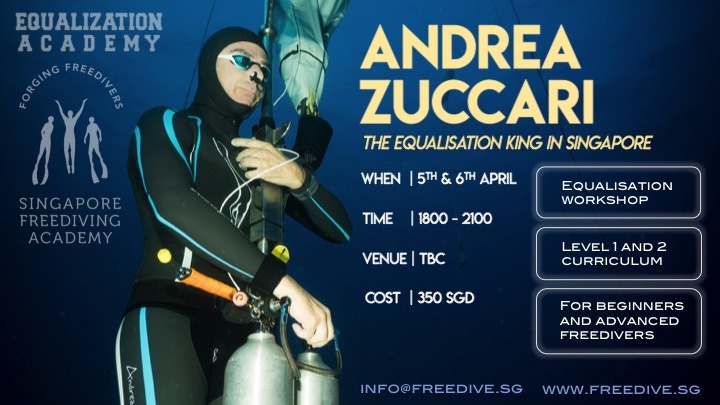 In partnership with the Equalization Academy, the Singapore Freediving Academy is proud to present another Equalisation workshop with Andrea Zuccari, the King of Equalisation. After this workshop, you will walk away with the Equalisation Academy's Level 1 and level 2 certifications. More valuable than that, is the knowledge and understand on how to equalise as deep as -100m. The Sabang International Freediving Competition was one of the largest depth competitions in the area with a potential world record status and 40 athletes competing. Following from the success in the 2018 AAS Depth Competition, our lead instructor Jonathan Chong in a clean sweep, claimed all 3 Singapore Depth National Records. IDAC 2018, South-East Asia’s largest pool freediving competition, saw 44 athletes competing from all around the region. Members from our squad participated and we’re proud to share that the team from Singapore Freediving Academy did a really well with podium standings in every single event. Our team set a total of 3 new national records walked away with 9 medals and 3 plaques. Our local ladies did really well coming back home with the Gold and Silver titles while Dimitry came home with the male runner up position. The 2018 AAS Depth Championships was held between 20th to 23rd September. This competition was Singapore’s first ever depth competition. This event had a star-studded pool of 20 athletes from 10 different countries. Members from our squad participated and we’re proud to share that the team from Singapore Freediving Academy did a really well and walked away with 2 new national records and 4 medals including the top Singaporean male, top Singaporean female, best female newcomer and overall third female. The 2018 AAS Aida Freediving Open Pool Competition was held just this weekend over 3rd and 4th March. This competition was the largest pool competition in the region with participants from 10 different nationalities compete. 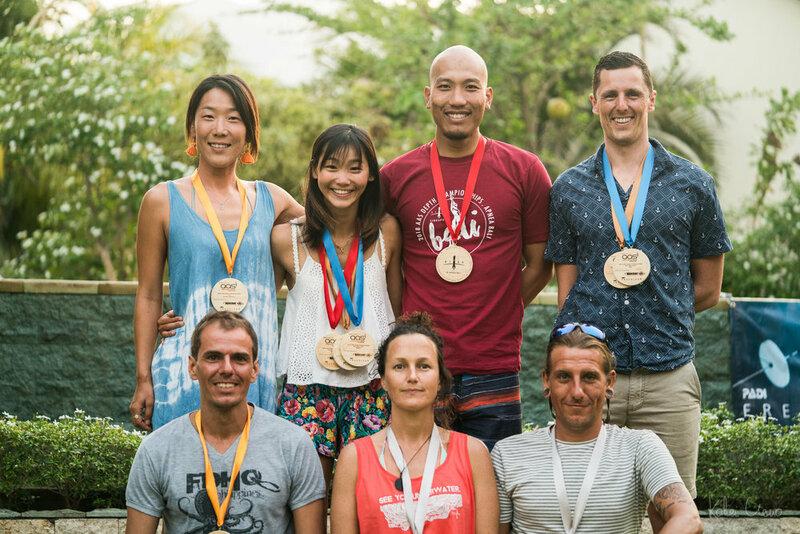 Many members from our squad participated and we’re proud to share that the team from Singapore Freediving Academy did a medal sweep and walked away with 3 new national records and 7 medals including the top female, best male newcomer and best female newcomer. Remember, you too can be part of this AWESOME team! In partnership with the Equalization Academy, the Singapore Freediving Academy is proud to present an Equalisation workshop with Andrea Zuccari, the King of Equalisation. We were honoured to have Italian Champ Davide Carrera share his perspective on how to relax with us.